Save 55% and get a free eBook! DAMIR SAGOLJ / REUTERSA Tibetan woman carries a child, November 18, 2015. During his report to the annual meeting of the National People’s Congress last week, Chinese Premier Li Keqiang took the time to comment on China’s social goals. In doing so, he reiterated what has become the cornerstone of ethnic policy under Chinese President Xi Jinping: “the acceleration of interethnic contact, exchange, and mingling”—in other words, the blending of peoples through mixed marriages and other forms of social and cultural exposure. In China, the nation is fundamentally conceived as a biological union, or what Xi calls “a large family” with a long and rich history of “conjoined bloodlines.” In recent years, Xi has repeatedly stressed the need to speed up the pace of cross-ethnic exchanges—with exogamy, or marriage outside one’s own ethnic group, viewed as an important indicator of success. Interethnic marriage, party officials believe, will reduce ethnocultural differences and strengthen identification with a single, shared Chinese culture and identity. This policy has attracted widespread controversy and debate, particularly among its Uighur and Tibetan minorities, who feel this top-down push is simply a way for the Chinese government to erase their identities. Pundits and civilians alike have persistently noted concerns about the erosion of minority cultures and languages, which are protected by the Chinese Constitution and are vigorously defended by many minority elites inside China. But for most Han Party officials, ethnic assimilation is a historical inevitability—the endgame of economic and social modernization. Registered users get access to one free recently published article every month. Subscribers get access to the entire archive. *** The Cycle of Terrorism Identifying terrorists requires a shift in intelligence methods. Summary The attacks in Belgium will set in motion an old cycle: massive alerts, terrorists going to ground, relaxing the alert, the re-emergence of the terrorist. Identifying terrorists consistently is almost impossible by existing means. The only strategy that might work is human intelligence – spies penetrating terrorist groups – but it is stunningly difficult. The choice is living with terrorism or adopting new strategies, as the old ones stop some attacks but not all. Another terrorist attack took place in Western Europe yesterday. Security will now be on alert around the world. The terrorists will avoid attacks during this time because the danger of interception and failure are too high. Therefore, there will be no more terror attacks in the coming days, although there will be constant alerts about empty boxes and suspicious people. In due course, the special alert will not end as much as fade away. Terrorists will begin planning for new attacks and as the events of today blur in our memory, a new attack will take place and the cycle of terrorism and counterterrorism will turn its crank once more. Being constantly on full alert is impossible. A single human being on highest alert on a permanent basis will either self-destruct from adrenaline exhaustion or will decline into a haze. The same can be said for a police or security force. Its ability to endure a constant crisis posture is as limited as for a single person – because the force consists of people. That is what drives this cycle. The surge of adrenaline following an attack is natural. It also takes place at a time when a new attack is most unlikely. Surging the force later, when it has been months since the last attack and the threat is distant, is extremely difficult. You can’t order up the adrenaline – individual or collective – required to go on full alert. The threat must be real, and the terrorist organization understands this, so it works hard to take advantage of the human tendency to regard the rare as an illusion. Any successful counter to terrorism can’t be carried out by security forces. It must be carried out by intelligence services. Security services respond and create a presence that must be evaded. Intelligence services probe into the intentions of the enemy. Their job is to identify those who wish to carry out terror attacks, trace their network and leave it to the police and security forces to capture them. The intelligence problem is simple. How do you discern intention? Most intelligence focuses on capabilities, but the capabilities required by a terrorist are readily available and transportable. You cannot track capabilities because virtually anyone could be capable of the attack. The Middle East is awash with explosives. Traffic – legal, illegal and refugees – moves in masses from the Middle East to Turkey and then to Europe. Similarly, explosives are readily available in the former Soviet Union, especially in places like Chechnya. Intercepting the explosives needed for a suicide bomb is possible, but the flow is so massive that all of the explosives flowing cannot be interdicted. And some of the explosives can be made in Europe, from fairly common material by those who know how to do it. And such people are readily available and can’t be identified as bomb-makers just by looking at them. The intelligence challenge is to identify those with the intent to carry out terror attacks and ability to access the material. Identifying both is critical. The world is filled with loudmouths announcing coming heroic events who have neither the access nor the knowledge to carry them out. The security forces have limited capacity. If they went after everyone claiming to be the Jihad King, their resources would be exhausted. In fact, terrorists would encourage all of their followers to publicly declare their intent to blow up something. That would leave an opening for actual terrorists. Alternatively, if you went after everyone with plastic explosives, you would be chasing shadows. How do you know if they have access to an explosive like C-4? The usual solution is to get an unbelievably expensive piece of portable hardware that will sniff out C-4, which will be available in four years, and produce as many false positives as false negatives. Technology is useful, but relying on it is hard. And taking it to the right place to sniff – well you are back to intelligence. Defence Minister, Manohar Parrikar, recently spoke about a plan for the local manufacture of one or two more combat aircraft in the country. According to Parrikar, the proposal to build fighter jets in India is expected to spur competition among the global aerospace and defence majors to join hands with the Indian companies. In what has been described as a strategic master stroke aimed at helping India position itself as a well equipped hub for the manufacturing of combat aircraft, featuring cutting edge technologies and advanced fighting systems, Defence Minister, Manohar Parrikar, recently spoke about a plan for the local manufacture of one or two more combat aircraft in the country. But much to the chagrin of the state owned aeronautical major, Hindustan Aeronautics Limited (HAL), the responsibility of building the fighter jets would rest solely with the private sector companies in the country. As it is, HAL, which at one time had dominated the Indian aerospace sector, has also been excluded from the competition for the Avro replacement project. During the previous UPA (United Progressive Alliance) regime, there were allegations that the then Defence Minister, A.K.Antony, favoured public sector defence enterprises much to the disadvantage of the private sector defence and aerospace industrial units in the country. Now the pendulum seems to have swung to the other extreme with the current NDA (National Democratic Alliance) dispensation showing “undue preference” to the private sector. Of course, the private entities need to be encouraged and supported to build up their capabilities and domain expertise to meet the requirements of the Indian defence forces. But at about the same time, HAL whose domain knowledge and industrial expertise in aerospace and defence is quite substantial, need not be side-lined. The best option would be to involve both the private and public sector entities in taking up challenging aerospace projects so that there would be a better access to resources, expertise and industrial infrastructure. Indeed, the need of the hour is to harness the existing potentials by looking beyond the public private sector jurisdictional boundaries to realize the goal of defence self reliance speedily, efficiently and in an economically viable manner. According to Parrikar, the proposal to build fighter jets in India is expected to spur competition among the global aerospace and defence majors to join hands with the Indian companies to initiate the process of creating industrial capacity in the country for the production of advanced fighter jets based on the Make in India flagship programme of the Indian Government. ”Under the Make in India process, we may have one or two more fighter jets produced in India by the private sector,” noted Parrikar. However, this line of approach meant to boost Indian aircraft industry will not have any impact on the ongoing process of discussions between India and France for the finalization of the deal to acquire 36 Rafale fighter aircraft under a government to government deal. The Rafale combat aircraft along with the home grown, fourth generation supersonic Tejas Light Combat Aircraft (LCA) would help Indian Air Force (IAF) reverse the trend of squadron depletion following a programme to phase out obsolete and ageing Mig fighters forming a part of the frontline fighting formations. Giving details, Parrikar pointed out that several offers are already under consideration and “through proper process we may select them to set up facilities in India under Make in India”. AMERICAN presidential elections get international attention because of worldwide interest in who is going to become the most powerful leader on the international stage. The US presidential elections in 2012 were less exciting than usual, because of the widespread belief that President Obama would be re-elected. We are now witnessing party primary elections, in which a flamboyant billionaire with a mercurial temperament, Donald Trump, has captured worldwide attention. Trump, a property baron, owns a network of hotels, casinos, golf courses and other properties. He has, paradoxically, struck a chord among blue-collared workers, who feel their jobs threatened by immigrants. His populist response has been to advocate building a wall across the US-Mexico border and banning immigration of Muslims, whom he labels collectively as terrorists. 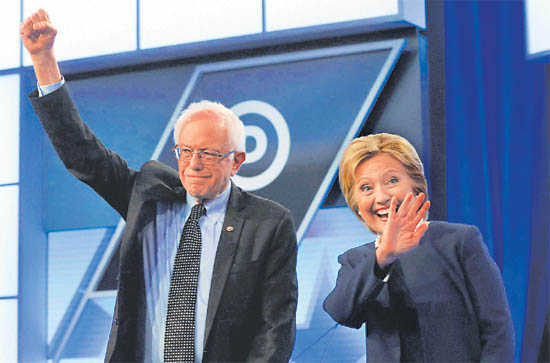 Hillary Clinton’s primary opponent, former Senator Bernie Sanders, has likewise, espoused the cause of ending free trade arrangements and called for tighter control over Wall Street. Sanders alleges that unemployed and blue-collar workers suffer, because of excessive trade liberalisation and the unholy nexus between politicians (including Hillary) and the financial, business and industrial barons of Wall Street. The tactics Trump and Sanders have adopted have won huge support from insecure blue-collar workers, making life difficult and the competition unexpectedly tough, for Clinton. Despite this, Hillary is expected to win the Democratic Party nomination, unless she encounters difficulties, because of alleged misdemeanours during her tenure as Secretary of State. Trump could likewise sail through as the candidate of the Republican Party. A word of caution on the upcoming elections is called for. The Republican Party could land itself in a mess, if its establishment chooses to ignore the political verdict and nominates an eminent party politician to replace Trump as its presidential candidate. Trump has moved far away from the Republican Party in his views on several foreign policy issues. He has criticised military intervention in Iraq, Syria and Libya and voiced his opposition to such military intervention abroad. He remains ambivalent on his approach to Israel, though he will inevitably fall in line with conventional thinking on the Jewish state. Interestingly, Trump vows to build bridges with President Vladimir Putin, while Hillary remains steadfastly hostile to the Russian leader. Both Hillary and Trump have suspicions and misgivings about China, with Trump repeatedly asserting that China got rich at the cost of American industry and its working class. The two frontrunners hold opposing views on liberalising trade, with Trump claiming that liberalisation damages the livelihood of American workers. Teresa was no saint. The Vatican is manufacturing her sainthood because she was at the vanguard of the Roman Catholic Church’s aggressive conversion activities in India. Teresa was no friend of the poor either. On the contrary, the Albanian nun celebrated poverty and suffering, and refused to give medicines to the inmates under her care, in the process allowing them to die painful deaths. Teresa has been known to be stingy even during national emergencies. During numerous floods in India she offered numerous prayers and medallions of the Virgin Mary but no direct or monetary aid, the Canadian researchers say. You think Mother Teresa was a saint, right? Perhaps you also believe she lifted millions of poor people around the world out of poverty. Think again. Teresa was no saint. The Vatican is manufacturing her sainthood because she was at the vanguard of the Roman Catholic Church’s aggressive conversion activities in India. It’s also for favours rendered to the church as Teresa’s rigid stance on abortion and contraception aligned with the views of Pope John Paul II. During his 26-year papacy, the arch conservative pope elevated 483 individuals to sainthood. That’s more saints than any previous pope. The current pope is, therefore, merely completing the process initiated by the Vatican. Teresa was no friend of the poor either. On the contrary, the Albanian nun celebrated poverty and suffering, and refused to give medicines to the inmates under her care, in the process allowing them to die painful deaths. A 2013 study by Canadian researchers backs up what rationalists and neutral observers – like Britain’s Christopher Hitchens – have long held: Teresa only cared about poverty and not the poor. Researchers Serge Larivee and Genevieve Chenard from the University of Montreal and Carole Senechal of the University of Ottawa argue that Teresa was a saint of the media, not the gutters. The Canadians analysed over 500 published writings about Teresa and conclude that her hallowed image, “which does not stand up to analysis of the facts, was constructed, and that her beatification was orchestrated by an effective media campaign”. Over 50 per cent of the books and articles were hagiographies, they say. The controversial study, published in the journal of studies in religion and sciences called Religieuses, says Teresa actually felt it was beautiful to see the poor suffer. According to the study, the Vatican overlooked the crucial human side of Teresa – her dubious way of caring for the sick by glorifying their suffering instead of relieving it. Most people will find this hard to believe all this because the media has painted this lovely picture of a caring mother who dedicated her life to charity. But where she went wrong was in believing suffering was good for the people. She believed in her cause but she had no idea what effect it had on the poor and sick people under her care. A fawning media, obliging politicians and countless donors have overlooked these aspects. But facts are humbling so let’s look at Teresa’s history – the uncensored bits, that is. Europe’s jihad crisis is not a problem of its Muslim communities but the outcome of cultural dislocations. Five years before he volunteered to walk the path that would lead him to Brussels airport, where he would extinguish his life for the glory of his creator, Brahim el-Bakraoui had been trapped behind a car on a highway in Belgium, firing a Kalashnikov at police officers who had blocked his escape. His god, back then, was cash: Just 24 years old when he was arrested in 2010, el-Bakraoui had held up a van carrying money for ATMs, leading to a shootout that claimed the life of a police officer. El-Bakraoui received a nine-year sentence, serving a little over five. He would emerge from prison along with his brother, Khalid el-Bakraoui, who had been sentenced to five years for a series of carjackings and opening fire with an assault rifle to evade arrest. For the most part, this week’s carnage in Brussels has been read as part of a crisis of Islam in Europe: Jihadism, it is claimed, is being incubated in the decaying urban ghettos home to many of the continent’s Muslims. The idea is widespread: It serves both Europe’s right, seeking to eject immigrants from the polity, and the left, focused on Muslim disenfranchisement as a cause of rage. The narrative is, at first glance, seductive. The Brussels municipality of Sint-Jans-Molenbeek, a one-time textile industry hub where just under 40 per cent of the population is Muslim, was home to many of the Brussels attackers, and to those who targeted Paris last year. Belgians make up, in population-adjusted terms, the highest number of foreign fighters in the Islamic State, even though just 6 per cent of its population is Muslim. Molenbeek is a leading contributor to this cohort. The el-Bakraouis’ story, though, tells us that a more nuanced answer is needed. The two men radicalised in prison, discovering in jihadism a sense of agency and purpose that their lives as delinquent sons of working-class immigrants had lacked. Their childhood friend, Salah Abdeslam, the architect of last year’s IS attacks on Paris, would help them take the final steps towards becoming suicide bombers. Figures released by Belgium’s government in January make clear that the notion of the ghetto as a medium in which jihadists breed doesn’t rest on robust empirical grounds. Molenbeek contributed 47 of the 451 identified Belgian jihadists in Syria and Iraq — a number identical to Brussels municipality, and followed in close order by relatively affluent, mixed Schaerbeek, with 31. Indeed, the data shows Brussels municipality produces more jihadists, in population-adjusted terms, than Molenbeek. Antwerp municipality, by no reckoning a Muslim ghetto, produ-ced 93 jihadists — almost twice as many as its notorious counterpart. The People’s Liberation Army has done it again. According to PTI, Chinese troops entered a few kilometres inside the Indian territory in the Pangong lake area of Ladakh. A stand-off between the Indo-Tibetan Border Police and the PLA followed. “The incident occurred on March 8 when a platoon of at least 11 PLA men led by a colonel-rank officer crossed over the Line of Actual Control at ‘Finger VIII’ Sirijap-I area close to the Pangong lake”, said PTI. The Chinese soldiers came with four vehicles and reached 5.5km deep inside India’s territory. Indian sources told the news agency that the Chinese soldiers were “engaged and countered” by an ITBP patrol. The confrontation nevertheless lasted for a few hours “after which the situation got defused and the other side (Chinese) retreated”. Apparently, China has constructed a road up to Finger-IV, also falling under Sirijap area on the banks of the lake. The Chinese Government was not pleased: They blamed the Indian media which has “repeatedly hyped up similar incidents, citing information from unnamed sources”. While admitting that there were divergences over the border, especially over the LAC, it said “both China and India are well aware of it”. Beijing added that in this case there was “no evidence to prove India’s claim of the latest incident. But Indian media is inclined to make a fuss over such issues, and often use words like ‘transgression’ or ‘incursion’”. A Ministry of Defence source nonetheless told India Today that ‘intrusions’ have lately increased in the vicinity of the Pangong lake and Chumur area in Ladakh. “There were at least 11 incidents of Chinese infiltration last year; in three months this year, there already has been 16 cases of transgression”, it said, and this despite an effective Border Defence Cooperation Agreement and the setting up two more border personnel meeting points in Daulat Beg Oldi in Ladakh and Kibithu in Arunachal Pradesh. To understand what is happening on India’s borders, it is necessary to read the latest speech of President Xi Jinping, who is also the Chairman of the all-powerful Central Military Commission. During the President’s ritual visit to the PLA delegation during the National People’s Congress, Xi affirmed that the PLA’s future hinges on innovation and reform, but he also told the Generals “to turn cutting-edge military technology into real combat capacity”, and urged it to be “proactive in combat readiness”. What does ‘proactive’ mean? It is a question that India should ask Beijing. Since assuming power in New Delhi, Narendra Modi and his administration have consistently focused on a “neighbourhood first” policy as far as external relations are concerned. Giving an early signal of things to come, the heads of state of all Saarc (South Asian Association for Regional Cooperation) nations were invited to Modi’s swearing-in ceremony. Modi’s first two state visits were, appropriately, to Bhutan and Nepal. Another visit to Nepal for the Saarc summit followed soon. During this period, Modi has announced a slew of initiatives for the Saarc group of nations, all of which were reiterated by both foreign secretary S. Jaishankar and external affairs minister Sushma Swaraj last week at the 42nd Saarc Standing Committee Meeting and the 37th Saarc Council of Ministers’ Meeting, respectively, in Pokhara, Nepal. 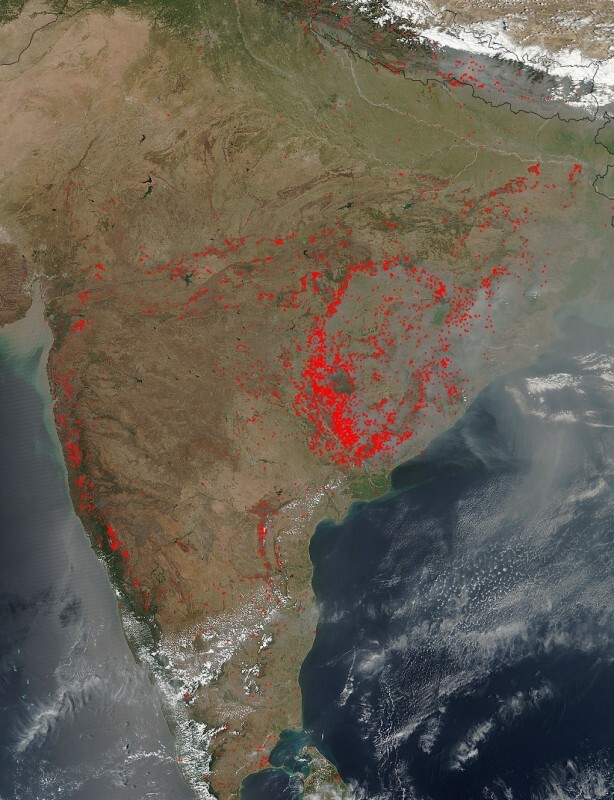 Some of the Indian government’s prominent initiatives include a Saarc satellite that will have applications in areas such as health, education, disaster response, weather forecasting and communications, a Saarc-wide knowledge network to connect students and academic communities, and a Saarc annual disaster management exercise. The cumulative impact of these developments, many hoped, would resuscitate the Saarc back into action and vitality. But this project has not progressed as hoped. The reason for the lack of progress is also nothing new—Pakistan pursuing its bilateral goals vis-à-vis India has become an obstacle in the path of greater connectivity and interdependence, preventing Saarc from attaining its full potential. An idea for such a grouping was first mooted by former Bangladeshi president Ziaur Rahman in 1980. Five years later, the first Saarc summit was held in 1985 with seven heads of states (of India, Pakistan, Nepal, Bhutan, Bangladesh, Sri Lanka and Maldives) in attendance. Afghanistan was inducted as the eighth full member in 2007. In contrast, the share of intra-regional trade for the Association of Southeast Asian Nations (Asean)—to which Saarc is often compared—is close to 25%. Intra-regional FDI accounts for 18% of the net FDI inflows in the Asean region. As Islamabad awaits the 19th Saarc summit to be held later this year, the 18th version saw another episode of Pakistan’s obstinacy. At the Kathmandu summit in November 2014, Pakistan’s delegation scuttled the Saarc Motor Vehicles Agreement and the Saarc Regional Railways Agreement. Following this, New Delhi took the lead by getting the motor vehicles agreement signed in June 2015 under a sub-regional framework, BBIN, involving the countries of Bangladesh, Bhutan and Nepal. The red line for Pakistan—Rawalpindi in particular—has been the connectivity between India and Afghanistan. India has no direct connectivity to Afghanistan thanks to the illegal occupation of a portion of Kashmir by Pakistan. 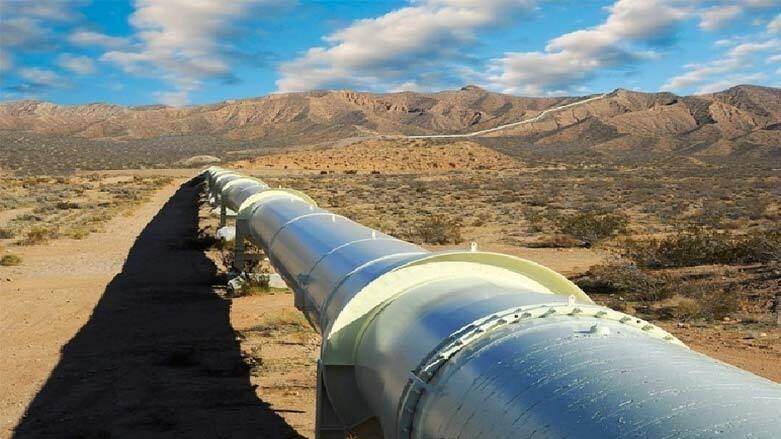 Given Pakistan’s refusal to provide an overland transit route despite repeated exhortations from both New Delhi and Kabul, Indian goods access the land-locked country though Iran. The government believes it has driven ISIL (Islamic State in Iraq and the Levant) out of all the villages it controlled in the east, near the Pakistan border. ISIL was attracting many of the most fanatic Islamic terrorists in Pakistan and Afghanistan and at its peak in 2015 was believed to have as many as 3,000 members, most of them in Afghanistan. These men are attracted to the ISIL view of the world. For example ISIL insists that the Pakistani military controls the Afghan Taliban as well as Islamic terrorist groups based in Pakistan that mainly operate inside India. These accusations are nothing new but they are the reason ISIL considers Pakistan un-Islamic and worthy of some lethal retribution delivered by ISIL. To underscore that ISIL has been carrying out suicide bomber attacks in Afghanistan and Pakistan. So far there have been few such attacks because ISIL is under attack by Afghan and Pakistani security forces as well as rival Islamic terrorist groups. For most of 2015 ISIL has been trying to establish a base area in eastern Afghanistan (mainly Nangarhar Province) but that has led to constant skirmishing with Pakistani Taliban hiding out there. The local tribes are also largely hostile to ISIL and all this has provided better intel for the security forces on what ISIL is up to and exactly where they are. Some of the tribes used their own militias to fight ISIL but more often just helped villages set up defenses to keep ISIL out. This cooperation (and information) led to more effective and frequent American air strikes and raids by Afghan troops and American commandos and hundreds of ISIL men have been killed and many more wounded. Many of the wounded desert and there are fewer new volunteers. ISIL is hanging on but is now out of all the 22 villages it occupied at the start of the year. ISIL is not dead in Afghanistan but it isn’t growing much either. There may still be a thousand or more living rough up in the hills and they can survive there until the cold weather returns. These remaining ISIL get little sympathy from the locals, many of whom have bitter stories to tell of harsh ISIL rule that included beheadings of most who resisted and imposition of strict lifestyle rules. This included closing all secular schools as well as religious schools and mosques that did not enthusiastically support ISIL. These lurid (and often true) stories are circulating throughout eastern Afghanistan making the region a no-go zone for ISIL. The fighting in Nangarhar will continue this year, mainly in an effort to keep ISIL out of any towns or villages. There are some ISIL members operating in Pakistan, which is an even more hostile environment for them because of the same hostility towards ISIL tactics and behavior in general. Since ISIL considers all other Islamic terror groups enemies it is finding enemies everywhere. The Afghan government reported that in the last year security forces had killed nearly 2,000 “terrorists and criminals” in Nangarhar province alone and arrested nearly a thousand. About a third of those arrested were drug smugglers or dealers. Those in the drug business are less likely to fight to the death, as ISIL men are prone to do. Senior American commanders in Afghanistan and back in the United States agree with their Afghan counterparts that a sharp increase (by 15,000 or more troops) in American combat forces could be essential if brought into Afghanistan this year. While the Taliban is pushing the army out of parts of Helmand province the Islamic terrorists are on the defensive most everywhere else. Part of this is because of a civil war within the Taliban and the continued threat from ISIL. STR / AFP / GETTY IMAGESBut can you make a semiconductor? A factory in Anhui Province, China, May 2015. Will there be war with China? That may well be determined by which presidential candidate wins the White House this year, and what policies the new administration adopts. If a rapidly militarizing China seeks only to protect its homeland and the global trade routes it needs to prosper, the world can probably relax. But if China is also committed to expansionism and seeks to push the US military out of the Asia-Pacific region and take territory and resources from its neighbors, there may be conflict on the horizon. That China’s military buildup is necessary to defend its trade routes is likewise historically based. Even as Deng Xiaoping began China’s remarkable transformation in the 1970s from a socialist, autarkic, and continental power into the global trading force it is today, his naval commander, Admiral Liu Huaqing, began to build the modern navy Deng’s new mercantilist China would need. In this sense, Liu was what Yoshihara and his coauthor James Holmes from the US Naval War College have called a “Mahanian” figure, an allusion to Alfred Thayer Mahan, the 19th-century American military theorist who pioneered the concept of global naval force projection as critical to economic prosperity. In step two, China breaks through the Second Island Chain, which runs from the Kuril Islands to New Guinea, directly through the anchor of American power in Asia, the island fortress of Guam. Finally, by 2050, China becomes a global blue-water navy projecting its power around the world. Recent revelations inside Iraq have exposed ISIS. They don’t exist, simple as that, not across Iraq, not in Mosul, not in control of any oil regions, not in any way remotely resembling what the world has been told. The real “ISIS,” more recently identified as a Turkish, Israeli, Saudi construct is, at least in Iraq, run out of Erbil, not Mosul or Raqqah, cannot be identified, or explained. It is a ghost. Let our story begin. In January 2014, I met with Sunni governors to discuss their views on the ISIS threat as it applied to their regional security issues. At that time ISIS was in Ramadi only, seen by a cynical but powerful few as a useful tool to leverage political reforms from the Shiite led government. The subsequent almost magical rise of ISIS across Iraq was believed by all though it made no sense. The ISIS of January 2014 and the ISIS of September 2014 were unrelated, certainly not the same entity. The new “ISIS” made militarily impossible simultaneous moves across Anbar, Nineveh, Salahaddin, Tamim, Dyala, Karbala, Babil, Najaf, Qadisiyyah and even Sulaymania provinces and this is in Iraq alone. This evidenced early on that the tribally interrelated Sunni political groups, all of which had long since formed militia organizations with which I am very familiar, had suddenly become “ISIS” in Iraq but that there were other powers as well acting under the theatrical guise of ISIS or ISIL or the Islamic State. Thus, we knew from the first, and by “we,” I mean the Iraqi government, Iran, Russia and maybe even the United States, that the ISIS threat was misrepresented. This has long been an unspoken fact that the insurgency we suspected was nothing more than an Iraqi civil war, not the rise of a mystical cult of “head choppers” with mad internet skills and lots of Hollywood backing. If the thought has crossed your mind that ISIS isn’t what it seems to be, your suspicions may well have been justified. If you had head of conspiracy theories about ISIS, that intelligence agencies were helping it or that it isn’t quite what it seems, there is reason to believe, reason rooted in facts that you are shooting well short of the mark. We now have reason to believe that there really is no “ISIS, not as represented by anyone, not even by conspiracy theorists. In fact, the closest anyone has come to what we are now learning about who and what they really are came out in December 2014 during the Damascus Security Conference when the American delegation headed by Colonel James Hanke and I named ISIS as only an “arm” of a global organized crime syndicate. It doesn’t matter if the coverage that follows an attack is negative. For ISIS, any coverage is good coverage. In the immediate aftermath of the attacks in Brussels on Tuesday, there was a period in which members of the Western news media were scouring for evidence of who might be behind them. Suspicion primarily fell on ISIS, which managed to pull off a complex, multi-target attack in Paris four months ago. Some speculated that the attackers were seeking revenge for Friday’s arrest in Brussels of Salah Abdeslam, a suspected logistics chief of the Paris attacks, and the last direct participant in those attacks believed to be at large. Others suggested, in my view correctly, that the attacks were not revenge-driven, but the outcome of months of careful planning. Speculation about the ideological inclination of the perpetrators became certainty when, that afternoon, ISISchannels on Telegram, a social-media platform favored by jihadists, circulated an English-language claim of responsibility. The text, uploaded onto the Wordpress page of Amaq News Agency, ISIS’s “official” news wire, was instantaneously transferred across millions of computer screens and mobile phones by news outlets and commentators around the world. So it was that ISIS commandeered the narrative space surrounding the attack, in spite of the fact that its statement provided no new information and, indeed, appeared to been an amalgamation of operational details already observed in Western media reports. In the avalanche of uncertainty that followed the attacks, theISIS propagandists were able to dictate their story—literally word for word—to an international, and specifically Western, audience. Releasing the claim of responsibility first in English was no mistake. Directed, first and foremost, at the Western enemies of ISIS, the statement was a way to capitalize on the international media storm surrounding Brussels that day. Be it through headlines or tweets, the propagandists manipulated a global audience, opponents and sympathizers alike, to disseminate their message of intimidation and enhance the perception of ISIS’s threat. The technique is not new. Indeed, modern-day terrorists have long embraced “propaganda of the deed,” a tactic that, in the words of the Australian Army information-operations specialist Jason Logue, involves ”planning and executing operations designed purely for their propaganda appeal.” However, ISIS understands the media like no other organization before it. It knows that, while territory and resources are crucial to the overall success of its aggressive insurgency in Syria and Iraq, the media is the arena within which the war of ideas is waged, where the group’s relevance—and, ultimately, its ideational longevity—can best be preserved and perhaps enhanced, even as it experiences territorial losses. BRUSSELS — The Brussels suicide bombers included two Belgium-born brotherswith a violent criminal past and suspected links to plotters of the Islamic State’sParis attacks last November, the authorities said on Wednesday, raising new alarms about Europe’s leaky defenses against a militant organization that has terrorized two European capitals with seeming impunity. To the modern reader, it may seem odd for a historian to lead a national movement. But in the nineteenth and early twentieth centuries, the writing of Ukrainian history was a revolutionary activity. 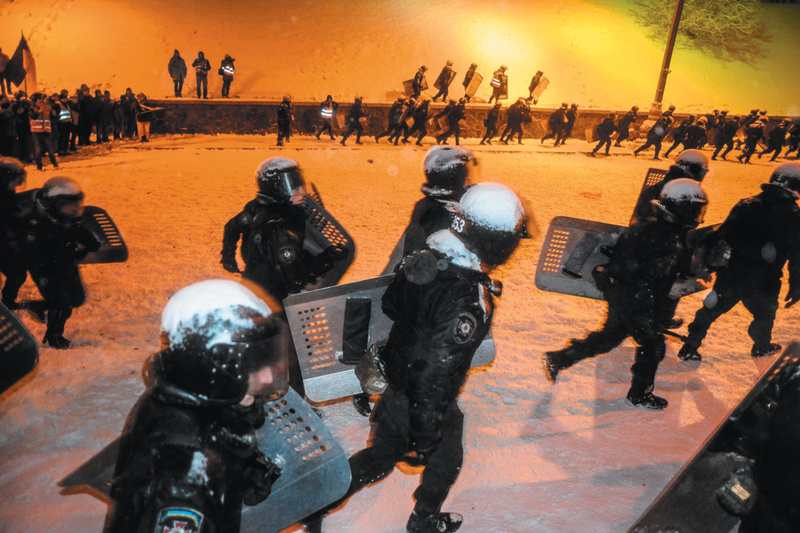 Even to espouse the idea that Ukraine, which had functioned as a Russian colony since the eighteenth century, had a history separate from that of the Russian Empire was provocative, antiestablishment, and even dangerous. For those who dared voice such thoughts, it was a short step to political activism. Hrushevsky’s books in particular stressed the role of the “people” in the political history of Ukraine, and the centrality of their struggle against various forms of tyranny. It was only logical that he should want to inspire the same “people” to action, both in words and deeds. In the broader European setting, this was not unusual either. Historians, as well as poets and artists, had played important parts in the consolidation and cultivation of Italian, German, and Polish national identities too. * Belgium is a failed state Brussels’ nest of radicalism is just one of the failings of a divided, dysfunctional country. That the Paris terrorist attacks had strong links to a suburb of Brussels didn’t shock many of us who live in the Belgian capital. Radio stations here in both French and Dutch are full of discussions about Molenbeek that elicit indignation, sorrow, anger, guilt, despair, defiance. But not surprise. Friday’s attacks in Paris were but the latest in a litany of jihadist incidents over the last two years involving people with ties to Molenbeek, including the 2014 shooting at the Jewish museum in Brussels, the Charlie Hebdo attacks in January and the failed attack in August on a Thalys train. The absence of surprise also makes sense because long before the emergence of jihadism, Molenbeek had acquired a reputation for lawlessness. Most people in Brussels have very little understanding of what such jihadism is and how it comes to link Brussels with Paris, Iraq and Syria, but they were already aware that Molenbeek had high levels of petty crime: muggings, drug dealing and burglaries. It would suit some parts of the Belgian political establishment to keep the current agonizing at the level of Molenbeek — to blame, for example, the reign of Philippe Moureaux, the socialist mayor of Molenbeek from 1993-2012, an interior minister and justice minister in federal governments of the early 1980s. Or to fault certain mosques, as Prime Minister Charles Michel recently did. But the more painful question that should be asked is: What do Molenbeek’s failures reveal about the deep dysfunction in the Belgian state? That Molenbeek has been allowed to become a breeding-ground for jihadism says some damning things about formal and informal structures in Belgium, and in particular Brussels. What is remarkable about Molenbeek is the proximity of the poverty and lawlessness to the center of a European capital city, including the political and cultural institutions of the Brussels, Flemish and national governments. The sociologists tell us that the distribution of wealth in Brussels follows a pattern that is more commonly found in American cities — wealthy suburbs surrounding a hollowed-out center of poverty and blight. The European norm, exemplified by London and Paris, would have the most expensive and chic areas in the center. Molenbeek fits the American pattern in that it is an area blighted by derelict industrial buildings and is on “the wrong side of the tracks,” which in this case means the wrong side of the canal that splits Brussels into east and west. But those on the other side of the world hearing about Molenbeek for the first time should dismiss all images of the South Bronx of the 1980s. Molenbeek is, by comparison, tiny. It is one of the most densely populated parts of Brussels, but its population is only 95,000. And it is not that the entire borough is a no-go zone. The lawlessness problems are concentrated in much smaller areas. Calls grew louder for stronger international cooperation to fight terrorism and tighten security measures after Tuesday’s attacks in the Belgian capital of Brussels that claimed at least 31 lives and left 270 wounded. However, clarity is yet to emerge on the contours of this next level of global cooperation — including ways to contain the Islamic State (ISIS), which claimed responsibility for the attacks. 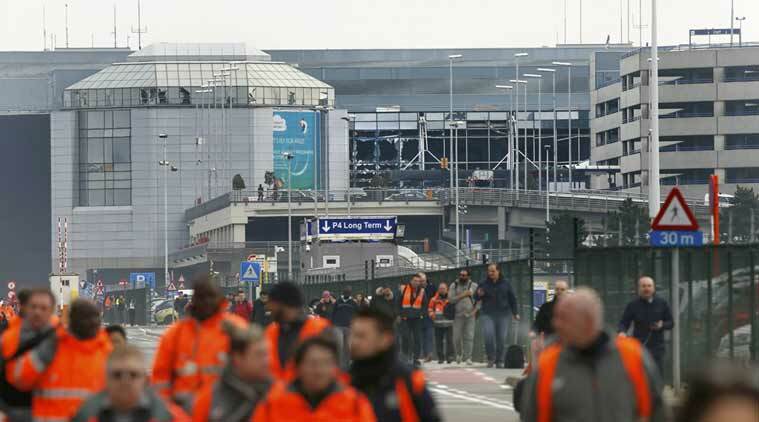 In the coordinated attacks between 8 a.m. and 9 a.m. on Tuesday, two explosions occurred in the departure lounge of Zaventem Airport on the outskirts of Brussels, and a third occurred at a city subway station. Airport cameras picked up three suspects. 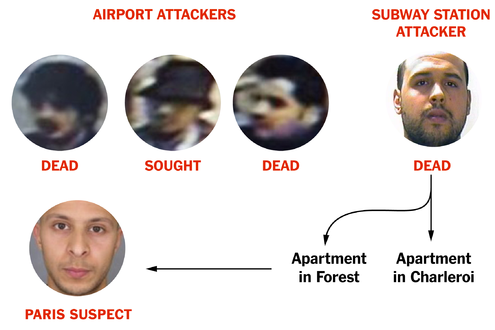 Two of them were brothers — Khalid el-Bakraoui, 27, and Ibrahim el-Bakraoui, 30 – while the third was unidentified, the New York Times reported, quoting Belgian officials. Ibrahim and the third suspect blew themselves up in the airport explosions, while Khalid carried out a suicide attack at the Maelbeek subway station an hour later, the report noted. Belgian police are on the lookout for another suspect, Najim Laachraoui, who is linked to the terrorist attacks in Paris last November that left 130 dead and 368 injured. The Brussels attacks are widely seen as an act of revenge by the Islamic State. They came four days after Belgian police arrested Salah Abdeslam, a member of the group of terrorists responsible for the Paris attacks. “What we feared has happened,” Belgian Prime Minister Charles Michel said after the attacks. Tightening security across Europe is uppermost in people’s minds. Many leaders and counter-terrorism experts called for Belgium, in particular, to strengthen its security infrastructure because Brussels is “the de facto capital of Europe, but is also fast becoming the capital of Islamic radicalism in Europe,” the New York Times noted in an editorial. “If ISIS starts playing with more dirty bombs and small nuclear devices, that would have a massive impact not just on the level of the threat, but also on business communities,” Michel-Kerjan had warned in aKnowledge@Wharton interview soon after the November attacks in Paris.